I kept a keen eye for deals for a couple of days on ozbargain, but none showed up. 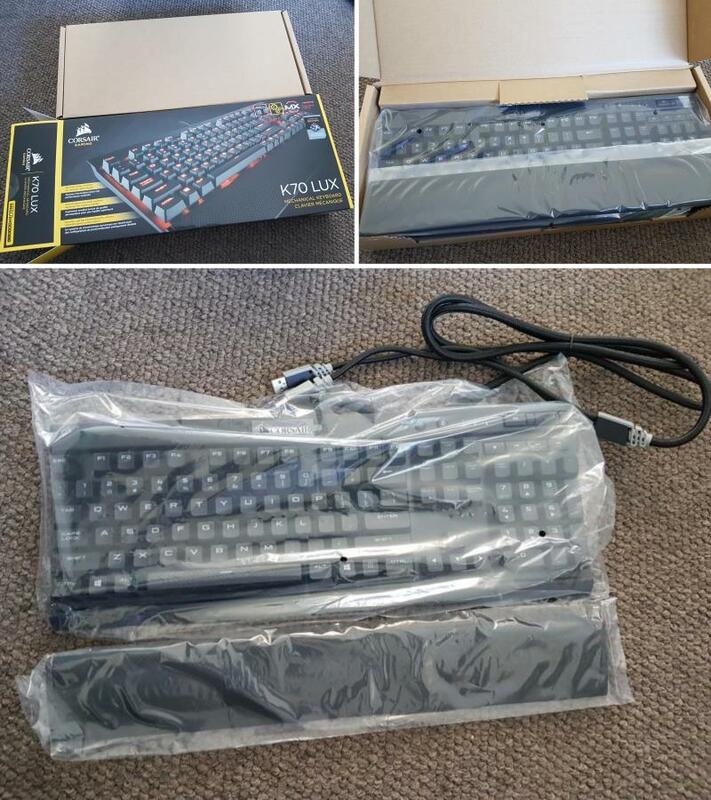 So I decided to visit the online store of those computer shops and searched for a decently priced keyboard. The Logitech G610 and the Corsair STRAFE (non-RGB) were around $130. They were good products but I wanted to get the best bang for the buck. That's when I came across the Corsair K70 Lux (non-RGB) for $135 on CentreCom. This is better than both of those keyboards for just $5 more. 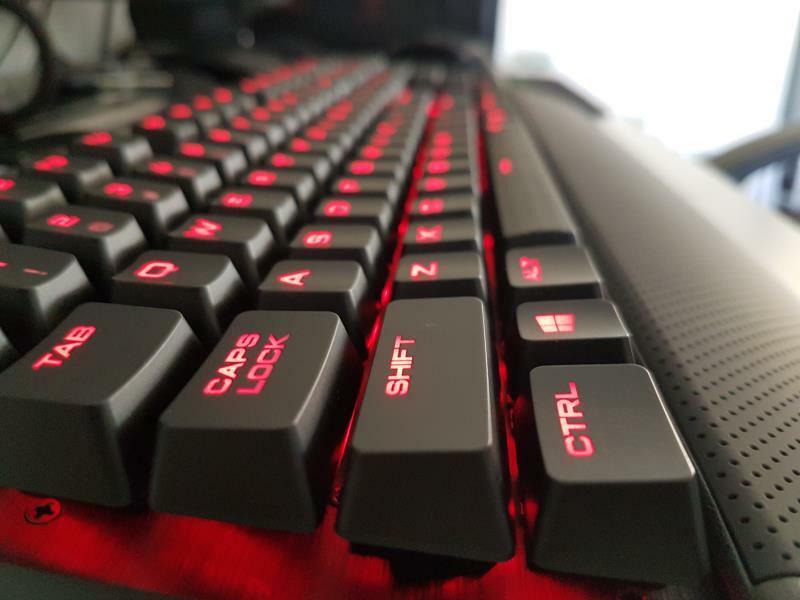 Better than the G610 because it has dedicated media keys and better than the STRAFE because it has an aluminum construction compared to plastic. There were cheaper mechanical keyboard from reputed brands such as Ducky but they had some kind of a compromise - some had no backlighting, some had switches other than Cherry MX, some weren't in stock with no ETA and some didn't come with Cherry MX Brown switches. I was all set on the MX Browns, because I actually type more than I play games so I needed tactile feedback, at the same time I didn't want to noise MX Blue switches. Browns were the middle grounds, and middle grounds are better in life. The only concern I had about the Corsair keyboards was their software suite and the keyboard requiring two USB ports. But after some research, I came to know that you could do just fine without the software (you mainly lose the macro functionality and fancy lighting patterns) and you don't need to plug in both USB cables if you plug it into a USB 3.0 port. Honestly, I do have many unused USB ports on the back of my PC, so that 2nd point was not really a big issue; just something that I didn't like. $135 is still not cheap by any means, for a keyboard which I used to pay for about Rs. 400 back in the day. It's also about $30 more than the Impact 700 which was a DOA. I figured I would never come across a deal as the Impact 700 locally, so I decided to place the order for the K70 Lux. I wanted to pay through PayPal, which added a 1% processing fee and I wanted to pick it up locally (although I was ordering online) to save on the delivery charges. The whole trip wouldn't cost me a dollar, whereas if I had to pay for delivery, it would have cost me more than $10. My only gripe is that they said it would take at least 2 business days before the keyboard could be collected. I placed the order on 19th of January, which was a Thursday. On Monday evening, I received the email saying the keyboard is ready for pickup. But I didn't have my car due to the breakdown, so I had to wait will Wednesday to pick it up. That was the errand that I had to take of which I mentioned in that blog post. Just like the last time, my kid was the most excited about the unboxing of the keyboard. I plugged just one of the USB connectors to a USB 3.0 port and the keyboard became alive. I had also decided not to install the Corsair software, and it worked just fine without it. I care less for macros (since I don't play RTS or Moba) and I don't really need fancy LED lighting effects. I like to keep things low profile. The keyboard is really heavy because it an all aluminum keyboard. Because of that and the nice rubber feet, it does not move on the desk at all. You need a significant amount of force to slide on the desk. I installed the included palm rest as well, which looks pretty nice and gives good support to my palms. With the Impact 700, I didn't really get a chance to experience how mechanical switched performed. I am typing this whole post on this keyboard and I also typed the one about the car using the K70. I feel my typing speed is negatively affected at the moment, but I heard that it takes a bit of getting used to. I don't want to test on the typeracer just yet. Let's see how I would do in a week. I will keep writing blog posts and do a status update then. One thing though; the keyboard is noticeably noisier than typing on my ancient Logitech Easy Touch PS/2 keyboard. For the time being though, I am happy that I had the guts to make the switch to mechanical and that this keyboard is working as Corsair expected. My birthday is coming up, so I guess this is my birthday present?